The 3 primary substances you can ingest before, during and after running to maintain your activity levels are calories, fluids and electrolytes. More specifically it is most important to have Carbohydrate (CHO), Water (H20) and sodium (Na). (I’ve used the chemical symbols here as I’m a lazy typer so they’ll be used from now on!) These make or break your athletic performance. And of course Protein (PRO) is required for recovery. The hard thing is working out how much of each you need, and how you are going to get them. Most sessions in your week are 1-4 hours long (assuming you are training for marathon+). To make sure you can have a high quality and effective session you need to start out well fuelled and well hydrated. It’s important to master your hydration and nutrition strategies in training, otherwise you won’t be able to nail them come race day. Practice is the key and working out what works best for you. If you train on low fuel then you may be limiting your ability to train to your potential, and therefore limiting your fitness gains. Think about it – when you race, you constantly pump in gels, CHO and fluids to maintain your pace and intensity levels. You should be doing the same in training as you are asking your body to work harder in preparation for a race. Your quality sessions should feel much harder than the pace you will expect to be running at on race day, so you need to fuel accordingly. The exception can be a long slow easy run, where you can rely more on your fat stores to keep you going and get your body used to utilising fat for energy. 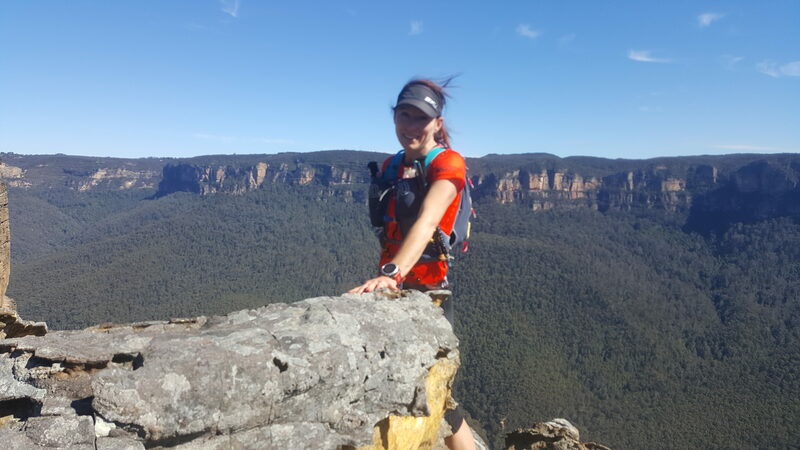 However if the demands of that long run include a fair bit of climbing, even if you are hiking, you will still need something more than water if you want a quality session. Most of the races we train for here at Energy Fitness contain a considerable amount of vertical climbing. Therefore we need to consider our calorie consumption and expenditure as it is much more demanding to climb than it is to run on the flat. To work out how many calories you consume when running (helpful if you do not have a HR monitor) use the below formulas. • BUT when climbing use a 1:10 ratio between vertical gain and horizontal distance. EG 70kg runner runs 20km with 1000m vert. 70cals/km (70 x 20) = 1400 cals. Then add the climbing. 10km (70 x 10 = 700) gives you a total of 2100 calories expended. So say the runner takes 3 hours to run 20km with 1000m vert and expends 2100 cals. They can only ingest roughly 200-300 cals max an hour, so they will be around 400 cals in deficit if they are burning 700cals an hour. This is fine as long as you stay on top of what your body can handle which is 200-300 cals per hour as well as fluids and sodium. Without enough fluid or sodium your body with struggle to absorb the calories into the bloodstream. Don’t ever try to replace what you burn – you’ll end up squatting in a hole somewhere or throwing up over your shoes. Too much will hinder your performance, especially in longer events. NOTE that this is a pretty good guide but will differ slightly from person to person depending on current fitness levels, body weight and genetics. However it’s a great starting point and you can confidently follow it if you have nothing else to go off. Another way and probably easier to manage if your HR monitor show calories burned is to consume 30-40% of your hourly energy expenditure. This then takes into account gender, fitness and body weight. Example: If you burn 750cals per hour you will need 225-300 cals (30-40% of your hourly expenditure). What does 100cals look like? Hydration status is more important than fuel availability – fuelling can be easily fixed by popping in some CHO (provided that you are not suffering from gastric distress ie bloating and nausea – as this is then easier said than done!). Dehydration takes a lot longer to recover from as you have had a drop in blood volume. When you stuff up your fuelling you can pop a gel, eat some sugar, let it digest and you bump up your glycogen stores, and then can carry on. However with dehydration, the mechanisms that regulate blood volume take hours to rectify if you get it wrong, causing nausea and bloating, which generally leads to gastric distress (you need fluids to ingest food properly to get them into your bloodstream – without that is sits in the gut causing issues, and stopping you from eating, so your dehydration then also becomes a fuelling problem). Worse still, if you stuff up your hydration and sodium intake bad enough you can end up in hospital. It can also be potentially fatal (hyponatremia). Combining CHO and Na together when training or racing allows them to move into the bloodstream more quickly, so it’s wise to have a combination of both (eg Tailwind, Heed etc which contains both, or gels AND Endurolytes together). If using commercial sports drinks like Gatorade they normally contain an optimal mix of CHO & Na. When mixing your own make sure you have the concentration right – too weak and it will be useless. Too strong and you will risk overdoing it and feeling sick. A good guide is 2 scoops per 500ml water. NOTE – don’t use sugar free products when fuelling as they are useless! They contain no CHO which = no energy. In terms of CHO you want to start your sessions and races with full glycogen stores. You can only store around 1600-2000 cals of glycogen in your muscles and liver. While you are burning CHO you also burn a bit of PRO and fat as well, but the substance you want to rely on to get you through the session or event is CHO. Starting a race (up to 30mins prior) with 100-150cals on board will make sure you have a good 45mins in you to get going. Then you can start sipping or sucking away on your other food. The night before have something healthy and boring with not too much fibre and not too heavy. I find a plate of roast chicken and veggies nice and simple. Pasta can leave you bloated and feeling too full. As long as you have eaten enough the few days before you will be fine and no need for massive carb loading or it will literally bite you in the bum on race day. Remember that you have also been tapering so you are using less energy. I like to indulge in a hot chocolate the day before, and have a few things I may not normally have, like a bit of choccy with a cup of tea before bed and the bikkies in the motel room…..but also make sure you are drinking enough. I also prefer to try and get my CHO the day before from more liquids than solids, as they seem to not feel as heavy. A Gatorade, pumpkin soup and a bread roll, Milkshake, Up & Go’s etc. That’s pre race – pre training I just eat a normal healthy meal. Again, it’s all about practice and what works for you. You can make sure that you have full glycogen stores before your next workout by making sure you replenish them by consuming CHO 30-60 mins post training or race. This is the window when your body is most primed to uptake glycogen. You also need to consume some sodium to replace what you have lost through sweat, but sodium also plays an important role in transporting CHO out of the gut and into the bloodstream. And don’t forget you also need to replace fluids! A good way to start is to have a CHO rich recovery drink that also contains sodium, such as Gatorade. Flavoured drinks are also easier to get down after a hard session than water. Then in the 4 hour period post workout have another meal containing CHO & PRO. In the 4 hour period post workout a 70kg runner should aim 1.5g CHO per kilo of body weight (105g). This is a lot, especially when you add protein and fat to these calories, so aim to consume the first 50-60g of CHO in the first 30-60mins, and then slowly take in the rest over the next 3 hours as you can stomach it. This will ensure that you lay down glycogen stores to fuel your next run. A few ideas for meals containing CHO & PRO are eggs & Avo on toast, Protein/Banana Smoothie, chicken and salad wrap, fruit etc. Don’t forget PRO for muscle recovery – the guide is about 1.2g/kg body weight. Using our 70kg runner again as an example, that equates to 84g PRO. You also need about 1g/kg bw of fat (70g). Good fats include avocado, nuts and seeds, olive oil, olives, oily fish. There is no doubt that carrying extra unnecessary kilos will hinder your performance – however trying to lose weight during a heavy training period can have more detrimental effects than racing with an extra kilo or 2. Runners that try to restrict calories in order to lose weight risk training low on fuel therefore they are not optimising the effectiveness of their training and not getting to the ultimate goal – getting fitter for race day. They also risk losing lean muscle mass as well as body fat which when you are asking your body to perform at its best, not to mention all of the climbing we do, is counterproductive to what we are trying to achieve – strong, fit runners. Training consistently on low fuel and losing too much weight also affects your immunity, your hormones and energy levels – all with dire consequences in respect to your training program. Being ill or constantly tired is no way to achieve your running goals! I would much rather see a fit runner that is carrying an extra kilo or two race than a runner that has lost weight to the detriment of their fitness – on race day the fitter runner will always beat the runner that has lost too much weight. Training at the right intensity because you have fuelled well will mean that your weight should take care of itself – you’ll burn more calories and fat in a high intensity, hard session than you will if you just plod through and survive it. And don’t forget the EPOC effect (excess post oxygen consumption). The higher your heart rate, the more oxygen you consume and harder the session, the more fat and calories you will burn for the rest of the day. Burning cals while you rest? Yep! 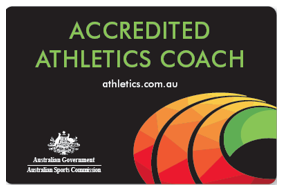 Simone Hayes is a Level 3 Personal Trainer and Level 2 Recreational Running Coach. 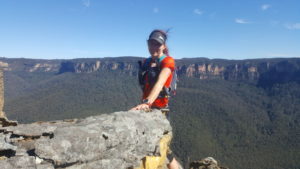 An experienced ultra runner with countless 40km-100km trail events under her belt, she guides runners of all abilities through online coaching and weekly Run Clubs and strength sessions, as well as running her outdoor PT business for the past 13 years.